In case you had something better to do yesterday and didn’t watch Bethesda’s sprawling, eventful stream yesterday – we finally know what they were teasing – Fallout 76. So, what is Vault 76? According to information compiled by the Fallout Wiki, Vault 76 was christened in Fallout’s year of 2076 to celebrate America’s tercentenary. Based on lore from previous Fallout games, we also know that Vault 76 is a “control” vault with 500 occupants, and was designed to open 20 years after a nuclear war occurred. 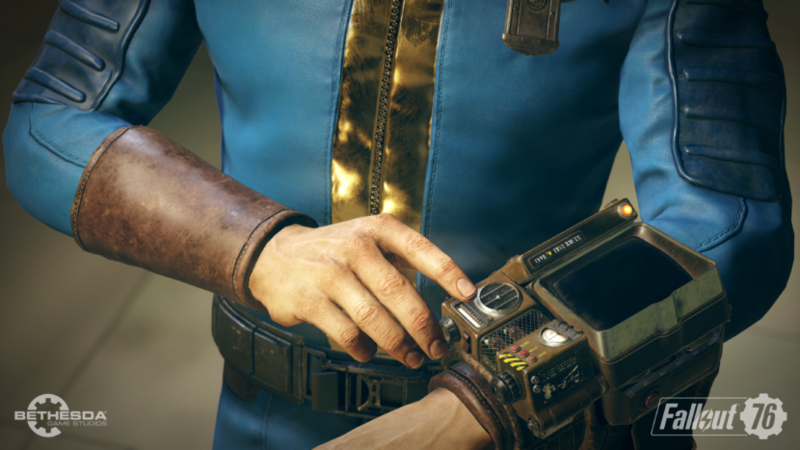 Vault 76, like Vault-Tec’s sixteen other control vaults, were the “normal” ones – meaning they were used as a baseline to compare to the “experimental” vaults we’ve fought through in previous games. So, maybe our Vault Dweller is one of the first colonists in a newly-scorched wasteland? It certainly seems like this game is going to take place before all the other Fallout games, but I’m sure we’ll get more solid information on Fallout 76 at Bethesda’s #BE3 showcase in a few weeks. Needless to say, I’m stoked. Not Another Gaming Podcast Proudly Announces Partnership With Echogear!